Starship featuring Mickey Thomas will perform at the Rock n Beale All Star Tribute to Jimi Jamison on October 26th at The Hard Rock Cafe in Memphis! 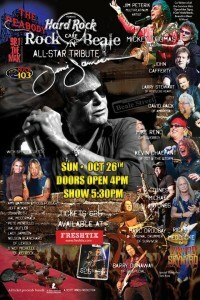 The tribute show will include Mike Reno of Loverboy, John Cafferty, Jim Peterick of Survivor, Rick Medlocke of Lynyrd Skynyrd, and many others! If you don’t have your tickets yet, don’t wait! There are only about 600 tickets available and they won’t last much longer. All tickets are standing room only – there is no reserved seating – so get there early! All ticket proceeds benefit St. Jude Children’s Research Hospital.